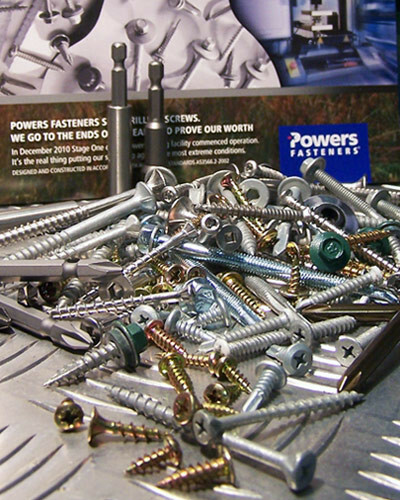 Quality & a very comprehensive & innovative range is on offer from Powers Fasteners through On-Site Fastening Solutions, backed up by Powers Screw product Warranty. Metal Self-drilling screws in varying head styles & colours, including Zip-it Roofing screws, Stainless 302/304 Bi-metal self drilling screws & SFS Irius drive self drilling tamper proof screws form part of the offering. Also included are Type 17 self drilling screws for timber, Chipboard screws, Needle point screws, Collated screws for Gyprock, Villaboard & fibre cement sheeting, both stainless & Class 4 Decking screws in many styles & gauges, Wing-teks for timber to steel applications & the new innovative Muro strip & coil fed screw fastening systems for Commercial flooring, Construction, Manufacturing & Industrial or for Board walks into Australian hardwoods & heavy steel. 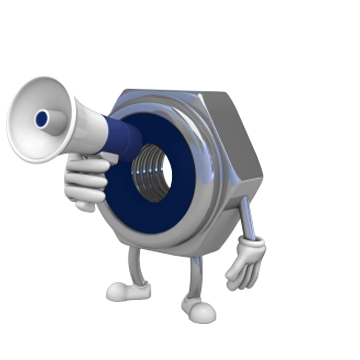 For whatever the task we have a screw & the driver system to suit.